The Bloodvein river carves its way through an area of northern coniferous forest twice the size of Wales. Photo: Paul Kirtley. 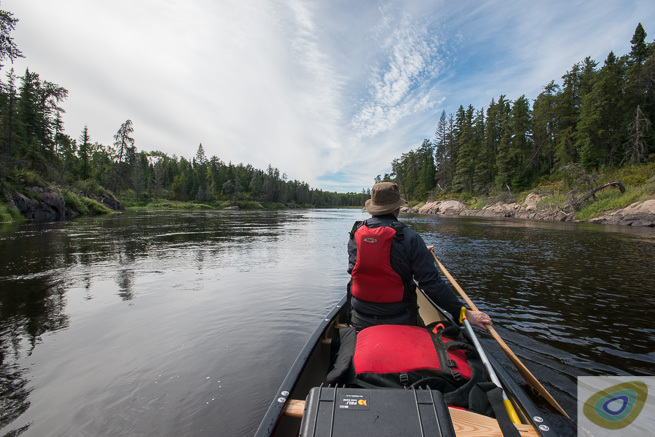 The land through which the Bloodvein flows is a area of untamed boreal forest more than twice the size of Wales called Pimachiowin Aki (The Land That Gives Life), which Manitoba, Ontario and five First Nations are proposing be a UNESCO world heritage site. The David Suzuki foundation calls it the largest intact piece of boreal forest on the planet. 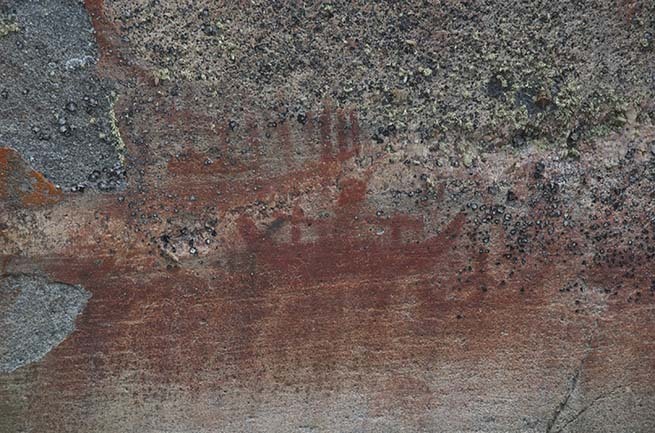 At various points in the area are collections of well preserved and fascinating rock art. This wilderness is a truly stunning environment in which to apply your expedition canoeing and bushcraft skills. 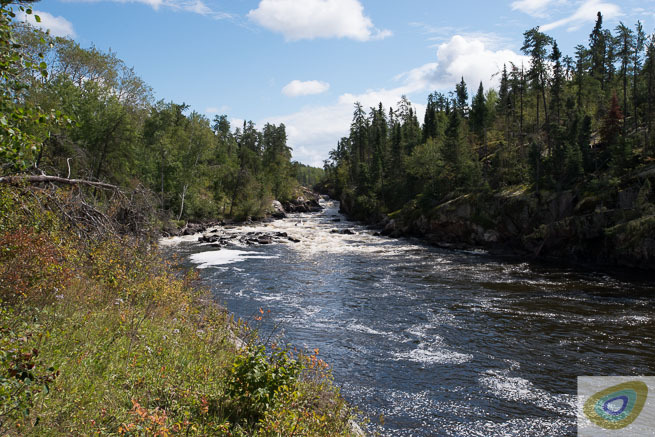 The Bloodvein River runs through a stunning area of pristine boreal wilderness. Photo: Paul Kirtley. Day 1: (Friday): Arrive and overnight in Winnipeg. Day 2: Transfer to Red Lake. Preparation of equipment and food for expedition. Overnight Red Lake in accommodation. Days 3: Float plane to Artery Lake. Paddle to visit rock art. Wilderness camping. Days 4 – 16: Descent of Bloodvein River; Wilderness camping. Day 16: Final morning of canoe expedition, finishing at Bloodvein Village. Afternoon transfer to Winnipeg. Group meal and overnight in Winnipeg. Day 17: (Sunday) Visit to Manitoba Museum (optional). Return home.